The Robin’s Nest, we have named it after the pair of Robins settling in the beautiful Mahua tree over dining area. The dining area draws out the embodiment of Bandhavgarh. 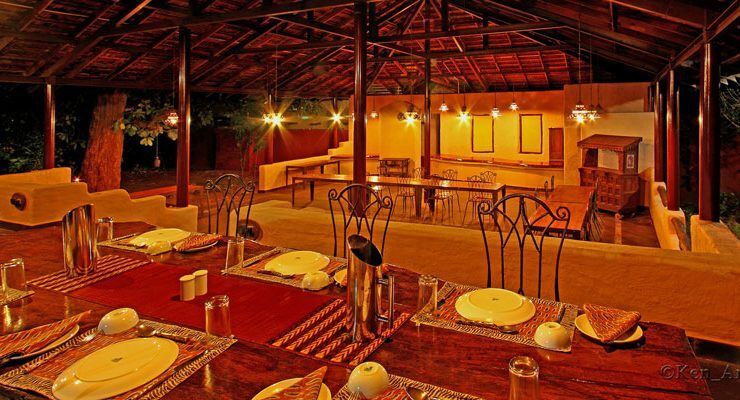 Encompassed by the vast grasslands, the magnificence of this dining zone is in its unparalleled view over the woods. An amazing Sal log table and mixed embellishments make this setting a remarkable dining experience. This outdoor buffet area can undoubtedly suit up to 40 visitors.